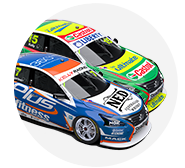 Harvey Norman Supergirls pairing Simona De Silvestro and Renee Gracie have spent the last two days familiarising themselves with their new Nissan Altima around Winton Motor Raceway. The track time is the first Supercars running De Silvestro has had since last year’s ‘Great Race’, with the additional challenge coming from the switch to Nissan for 2016. 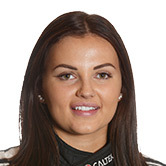 “In general I think it’s pretty difficult when you don’t drive the car all year, so I’ve been re-learning how to drive the car and little bits and pieces,” De Silvestro told Supercars.com. Both De Silvestro and Gracie said the test has been a great opportunity to adapt to the nuances in the Nissan, after driving a Prodrive Falcon at last year’s Supercheap Auto Bathurst 1000. De Silvestro said the Nissan definitely feels different to the Ford, but emphasised she is really enjoying it. The Swiss racer said there are critical elements she needs to get her head around, but it will all come together with time in the car. 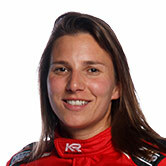 “I have to get comfortable with the car and feeling the car,” De Silvestro said. “I’m still not there yet, I’m still learning to feel the tyre, for example, but it will come. There is still a lot of work to get there but it feels pretty good so far. “Hopefully today we will improve a bit more and can continue improving and going forward from here,” she said. De Silvestro highlighted visibility as one of the tough parts of being back inside a Supercar, compared to the open-wheel Formula E car she has been racing. “The first five laps I did yesterday I was really shocked with the limited visibility,” De Silvestro said. “In an open-wheeler you see so much and have very little obstructing you, but here you have the side bars and all that, so to start it’s a bit tricky. “I think it’s always a bit of a shock the first time you get in a closed car, but you get used to it,” she explained. De Silvestro said the team at Nissan Motorsport is great to work with and she is impressed with the amount of effort everyone puts into the program. Despite the challenges in adjusting to the Supercar again, De Silvestro emphasised she believes the team is moving along well together. De Silvestro will remain in Australia in the lead-up to Bathurst, continuing to prepare in Melbourne. “I will spend some time at the workshop tomorrow and Friday looking at data and preparing a little bit more for Bathurst, looking at specifics from videos and also get some input from the other drivers in the team,” De Silvestro said. Nissan Motorsport Team owner and driver Todd Kelly has been present at the two-day Winton test, assisting De Silvestro and Gracie as they prepare to tackle Mount Panorama. "I really enjoyed working with the girls today - they've gelled well with the team and performed solidly on their first outing in the Nissan Altima. I'm looking forward to helping them progress tomorrow and having them form part of our operation at Bathurst," Kelly said on yesterday’s test. The Supercheap Auto Bathurst 1000 marks the start of the next chapter of De Silvestro’s career, after it was recently announced that she will become the first full-time female driver to race in the Virgin Australia Supercars Championship for the next three seasons.